The partners of Knowlman McDonald follow the same business philosophies their predecessors, Griffin & Knowlman and Knowlman McDonald McMillan were committed to. Firstly, to design and build homes at an affordable price which contribute to the quality of the life within them, and to the immediate environment around them. Secondly, to apply a sound business philosophy and rigid ethical professionalism that will both protect our own reputation and guarantee your investment. 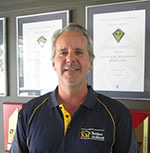 Steve has been with Knowlman McDonald, or its’ predecessors, his whole working life. Firstly as an apprentice then carpenter, registered builder, supervisor and now partner. Steve has helped train many fine tradesmen over the years, two of which (Steve Spencer & Mick Thompson), have become supervisors of the firm. Tim worked for a number of architectural practices, whilst studying, before accepting a position with the firm in the design department in 1999. His talent has been rewarded with several awards, the highlight being a house he designed at Corinda which was judged Australias’ House of the Year. 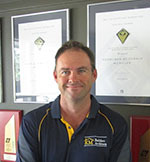 Before helping found Knowlman McDonald, Jamie worked as an accountant, and then as a builder in his own right. 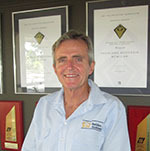 He has held many positions within the building industry including that of President of the Housing Industry Association. Ross worked for Griffin & Knowlman from 1980, all of that time in the design department. Since 1989 he has been the overseer of the sales and design section. His flair has resulted in many award winning homes and has twice designed Brisbane’s House of the Year. We have been fortunate to have had Steve supervise for us for many years now. 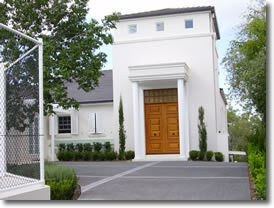 He has overseen the construction of several award winning homes. Mick Thompson Mick joined the firm of more recent years and has quickly become a vital member of the team. No job is too difficult for Mick and his finish is always first class.